A Couple of LEGO Beetles. 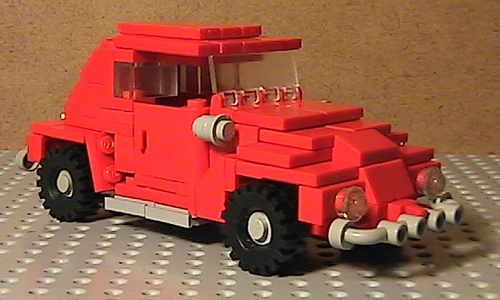 I came across two different LEGO renditions of VW Beetles in the past few days, and I thought they were both great. I don’t know if there’s some sort of Beetle meme going on that I’m unaware of, but these are both nice models, for different reason. Daniel Zayac (urthedead) built a model that looks like it would be great fun to play with, and is roughly to scale with a minifig. Meanwhile, Ralph Savelsberg (Madphysicist) has built a larger, more detailed model, that captures the shape of the original excellently. Thanks for blogging my Beetle. I’m not aware of any VW Beetle meme going around either. I’m pretty sure it is a coincidence. 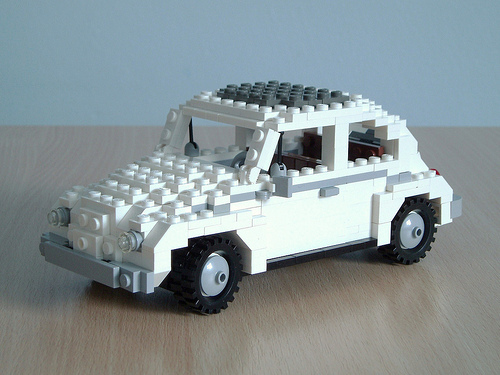 I decided to build a Beetle because this month’s challenge on LUGNuts involves building cars inspired by music, and the particular ditty that I chose happened to have a white VW Beetle on the album cover.